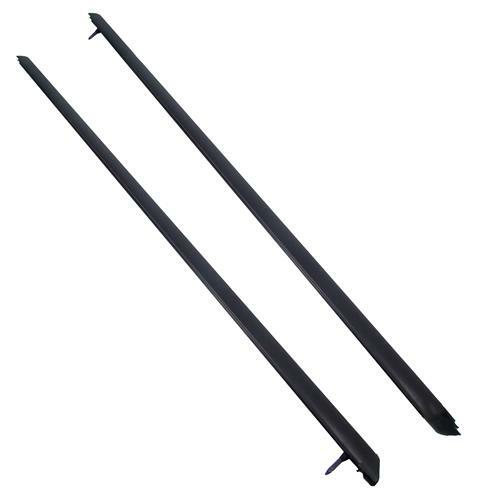 Replace your weathered 2005-2009 Mustang outer door belt weatherstrip with this Ford original kit! Replace your faded, dry rotted, or worn out 2005-2009 Mustang outer door belt weatherstrip with this Ford original kit! The door belts are located on the upper part of the door at the base of the window glass. This piece runs the full length of the door & acts as both a body trim molding & a window weatherstrip, or dew wipe. Over time they become faded and the weatherstrip portion will crack. This kit includes Ford original weatherstrip to ensure your Mustang is getting the same treatment it did on the assembly line.